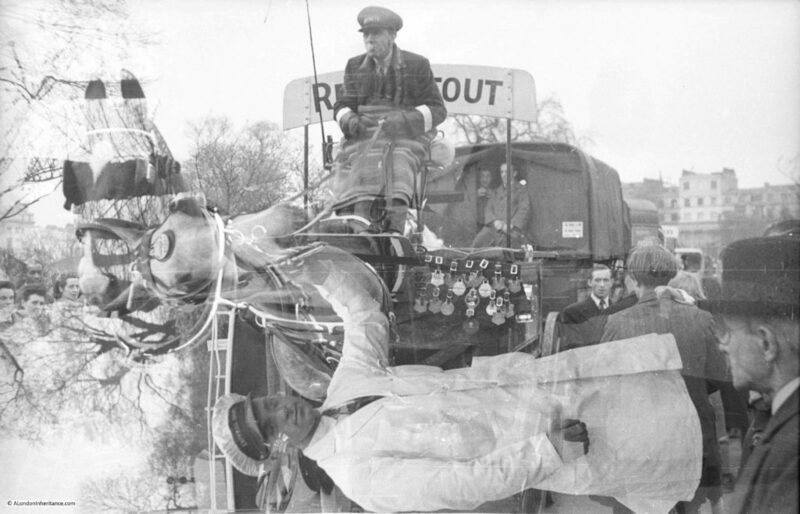 Lovely interesting old photographs there, Admin. Whichever year, it certainly was a cold grey Easter, judging by the thick overcoats most people were wearing. Thank you for this post (as well as all the others, of course) I went to the Hyde Park event in the late 60’s / early 70’s when I was ”into” photography and you reminded me that I have those somewhere. Today’s task may wel be to try to find them. I remember it as being fascinating and being amazed at the vatiety of size of the horses. I often wondered if this still happened in Hyde Park, but always forgot to check, so thanks for letting me know about Ardingly, I’ll do my best to get there! Very interesting to see these photos and read about this event. 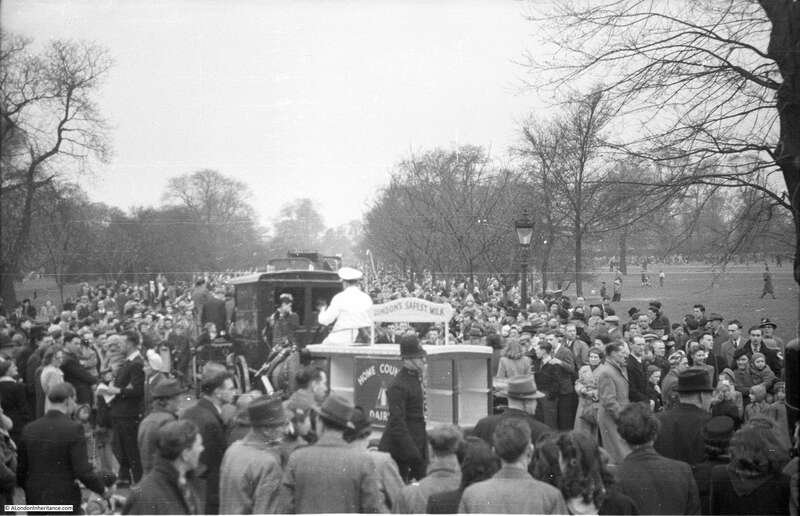 I had long forgotten about it but remember now being taken to see the parade when I was a child, probably late 1950s. Thank you for sharing. Wonderful! 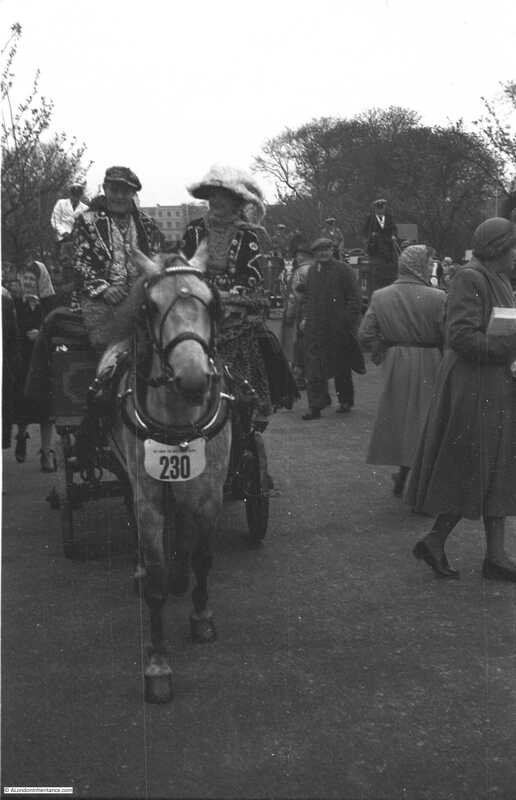 I am going to have to show this to my father – born in1928, the son of a zookeeper, he was taken to watch the Cart Horse & Van Horse shows as a small boy before WW2. He carried on going whenever he could as an adult, until the show moved from London. I’m sure he will have his (excellent) memory jogged by your photo’s. Thanks for another fascinating start to Sunday! So interesting to see these photos. My parents used to take me to see the Regent’s Park parade in the 1950’s and I remember enjoying a close up look at the horses lined up at the side of the road, presumably waiting for the parade to start. Thank you. Fantastic pictures and very moving. Glad to find out about the West Sussex event too. Thanks for all your amazing work. I love London but am feeling depressed at the changes. Would you believe, I am sure you would, however, that a little film extra bonus on ‘The Old Curiosity Shop’ 1934 (brilliant British film) is from 1924 warning that London was fast disappearing! If they could see it now!! 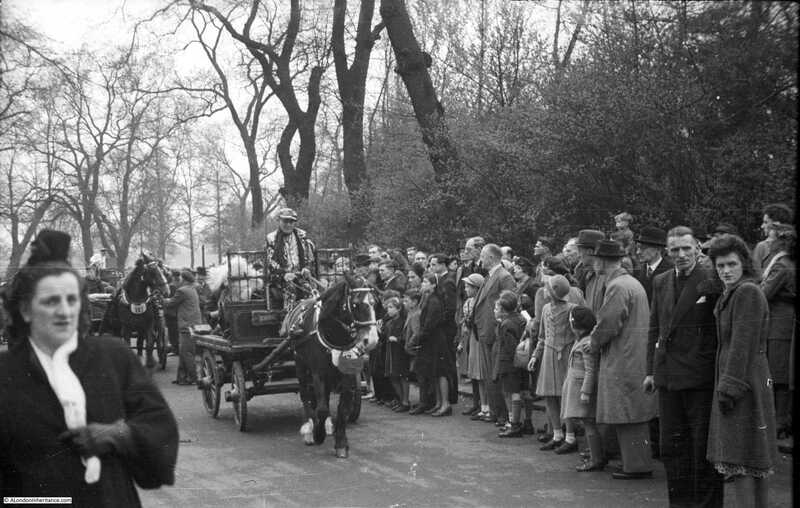 I remember regularly seeing some of the horses on their way to, presumably, the Battersea Park Parade, back in the 1950s. We lived in a flat in Victoria, overlooking the now demolished Lord High Admiral pub. 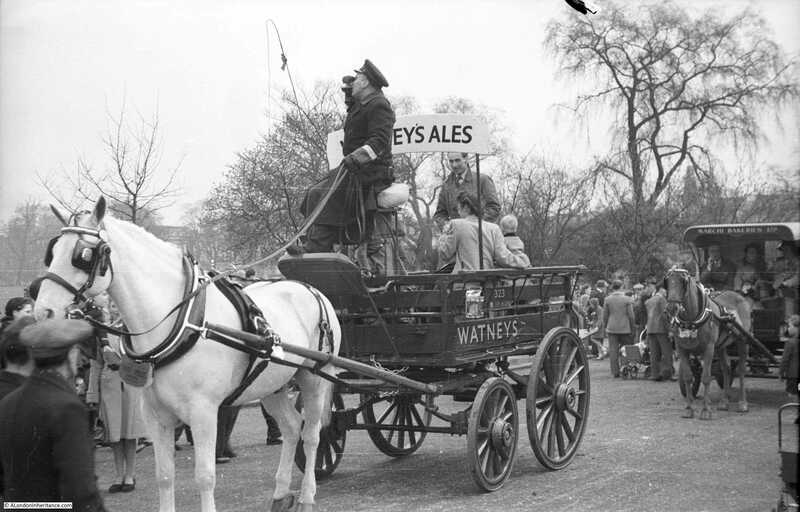 I loved to stare out of our living room window to see all the dray horses, immaculately turned out with ribbons and brass, and their owners too, in far from everyday finery. These owners presumably popped into the pub for a swift half before continuing their journey. 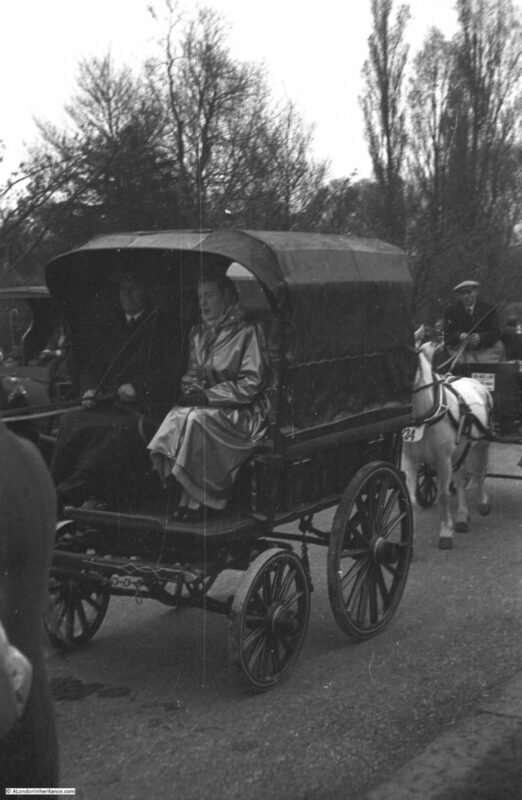 In the 1950s and 1960s we would all meet up as a family in Regents Park inner circle to see the horse show and then on to the volunteer pub in Baker Street. Wonderful old photos. Nice to see such well fitting harness. 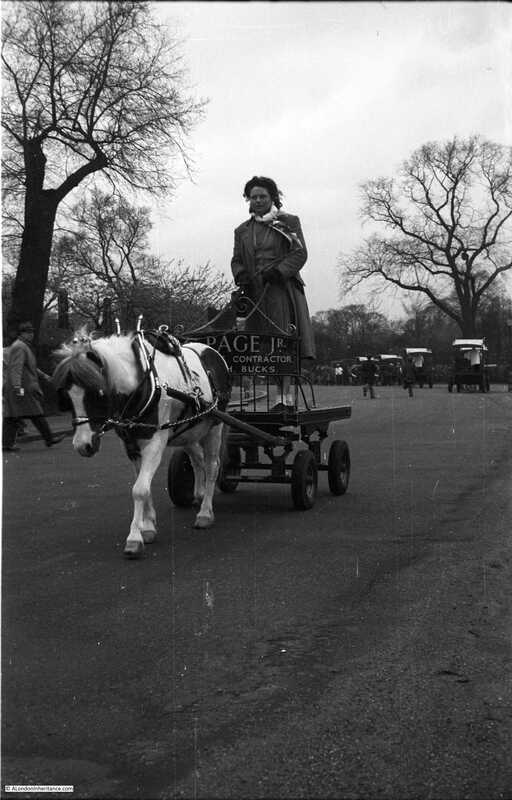 Attended the Centenary event 1985 in Regents Park, quite an experience! We stabled the horse at the old Whitbread stables and slept in the straw overnight. An experience ! .